I still remember the day that The Elder Scrolls V: Skyrim released back in 2011. I’d decided against buying the game, but when I got to work and saw the copies on the shelf, I bought it anyway. Hours later, I got home, put the disc in my Xbox 360 and fell in love. Apparently though, my wife did as well, and I promptly lost access to my console and game for some weeks. Skyrim quickly became a gaming touch-point for me and my wife, and we have periodically gone back to the game in the six years since release. This history with the game led to instant interest when it was announced for Nintendo Switch and has also made it the game that really rammed home the hybrid nature of the Switch. If you’ve not played or seen footage from one of the 30 million copies of Skyrim that have been sold in the past, let me give you a crash course on its story. As with other Elder Scrolls games, you start the game as an un-named, un-specified character that will quickly become your canvas in the custom character creator. No matter the character you create, you’re put to death for unspecified crimes. While on the chopping block, a dragon attacks the town you’re in, starting a maelstrom of chaos that quickly results in you being freed and set loose upon the world. A few hours later, you find out that you’re none other than the Dovahkiin, or Dragonborn, a warrior who can absorb a dragon’s knowledge and powers after slaying them. You’re tasked with stopping the end of the world, with as many detours as you want along the way. The story is expansive and well-written, evoking a sense of pride and accomplishment as you destroy demons and slay dragons. If you’re looking for a massive fantasy story, filled with an insane number of side-quests, then Skyrim is for you. Unlike other Western RPGs, which lock you into a specific character class for the entirety of the game, Skyrim takes a slightly different tack. There are no classes at all; instead you have access to every ability and skill throughout the course of the game, with skills levelling up as you use them. This means that you’re completely free to spec your character however you want. Want to be a Orc in heavy armour wielding magic with both hands? Go for it. How about a Khajit with a spell in one hand and a shield in the other? Whatever makes you happy and feels fun! As you level up, you’re also able to decide on whether to upgrade your health, magicka (MP) and stamina, as well as selecting perks to upgrade your skills further. While some prefer the stricter and more-confined systems of other RPGs, I highly appreciate the freedom to play the game however I want. 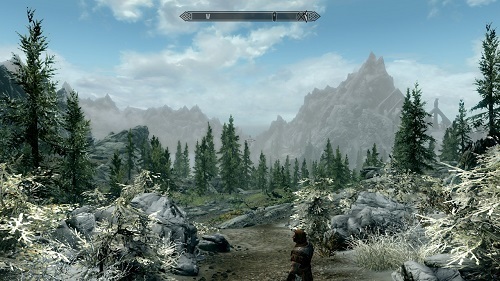 The best part of Skyrim, however, is the massive world that it all takes place in. 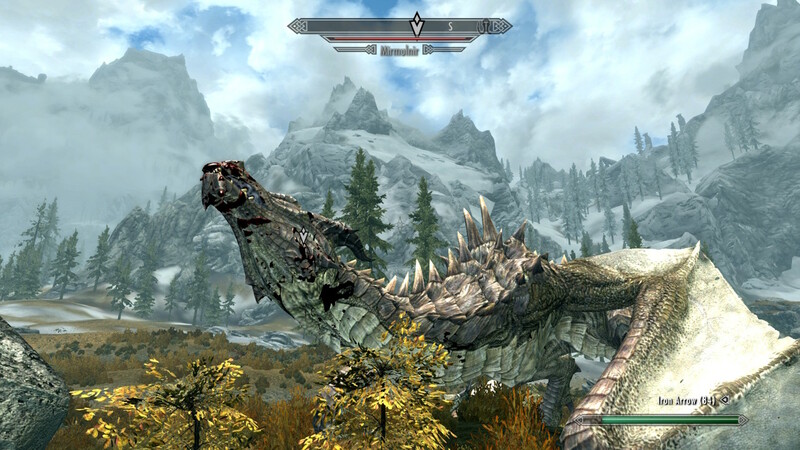 For its time, Skyrim’s scale was immense, and even now it still feels like one of the largest games you’ll find. It’s littered with towns, caves to explore, side-quests to complete and enemies to kill. Despite its size, you’re never too far away from something to explore or kill, ensuring you never lose interest during your journey. The world itself is beautiful as well, with the upgrades to foliage density, lighting and environmental textures in Skyrim Special Edition translating over the Switch version. Character models still look dated, and detract from some of the game’s immersion at points, but it doesn’t kill the experience. On the other hand, the music in Skyrim still holds up as some of the best I’ve heard in a game. Whether you’re exploring a cave, in an exhilarating battle or just roaming the world, the music is always on-point and beautiful. Overall, Skyrim isn’t the most graphically intensive game on the Switch, but its environments are nice to look at and its soundtrack is still amazing. There is really only one place where Skyrim is somewhat disappointing, and it’s the same thing that was true back in 2011: the melee combat. Melee attacks and guards feel unresponsive and clunky, and hold no weight behind them. You can hit an enemy with a swing of your warhammer, only for them to keep attacking you as though they weren’t touched at all. The ranged combat is better, especially the spells you can use, but you’re likely to go back to melee combat regularly in the game. This led me to avoid some combat and exploration at points, somewhat hamstringing my overall experience. What has really captured my attention with Skyrim for Nintendo Switch is the console’s portable nature and how well the game performs. While the very nature of the Switch means that every game can be played in both docked and handheld modes, there is something specifically fascinating with playing Skyrim in a portable fashion. It’s probably due to my history with the game, having put many hours into it on multiple tethered consoles and PCs. I can now just take my Switch out of the dock and take that same experience with me, wherever I go. And it really is the same experience, albeit it at a somewhat lower resolution. In both docked and handheld modes, the game hits a basically locked 30fps, never noticeably dipping during my time with the game. 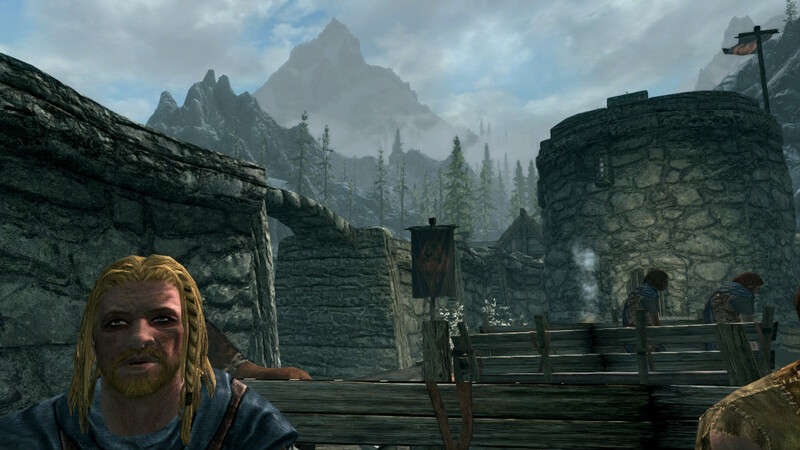 Skyrim for Switch truly is the Skyrim you remember. At the end of the day, The Elder Scrolls V: Skyrim has multiple things going for it: Fantastic technical performance, great graphics, beautiful music and a sense of freedom that is complemented by the nature of the Nintendo Switch itself. Thanks to that freedom of playstyles, Skyrim for Nintendo Switch is the best version of the game since the original release and is definitely worth your time.